Ideal as either a family or holiday home and in a quiet, rural location; well situated for . 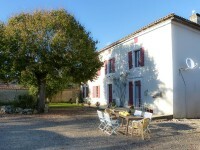 . .
Maison de Maitre large 5 bedroomed Farmhouse property with outbuildings, 3 gites for letting . . .
A lovely detached 3 bedroom property with attached barn, a detached barn and fantastic views. The property is located on the edge of a pretty village near to the larger town of La . 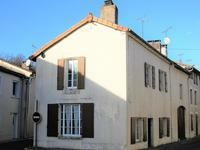 . .
2 bedroom village house of 90m²; Kitchen; Living room; 2 bathrooms with shower; Gas fuelled . 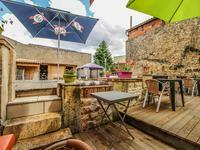 . .
La Rochefoucauld : Character building with porch composed of 5 apartments in the city center with courtyard for parking. For rental investment, Character building with porch and inner courtyard located in the . . .
Up and running restaurant / concert bar and sunlit terrace with it's spacious three bedroom accommodation above. 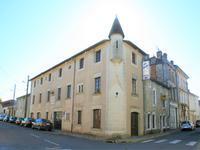 This beautiful stone building at the feet of the renown "Château de La Rochefoucauld" is in . . . 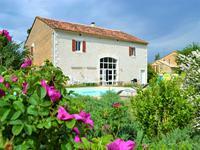 Excellent condition for this seven bedroomed and seven bathrooms gites plus a second gite . . .
3 bedroomed townhouse with mains drainage and new double glazing in the centre of a historic market town. Dating from 1846 this house sits in the heart of the sought after historic market town of La . . .